Tile or terrazzo flooring can be an elegant and beautiful flooring option for homes. Many homeowners prefer it in kitchens, foyers, or bathrooms as opposed to having carpets or rugs — it’s easier to clean and maintain and often has a more polished look. However, some homeowners often wonder about the best way to clean terrazzo floors or how to best do tile floor cleaning. It’s not that difficult, but you do want to avoid certain harsh chemicals. Some maintenance is also required to keep mold and water from building up, but these types of flooring are known for their durability throughout the years if kept up well. Tile flooring is also great because replacing or repairing a broken tile doesn’t take that long, unlike replacing or repairing damaged hardwood floors. If you’ve been wondering about the best way to clean terrazzo floors, read on! What Are Terrazzo Floors? Terrazzo floors are a made of a mixture of glossy materials (like marble, quartz, granite, and glass chips) and a binder that keeps everything set together. It’s polished to a fine shine and to make it a smooth and uniform surface. It’s been used for over 1500 years and has a long and rich history. Today’s floor installers use thinset terrazzo, which uses a mix of colored chips and epoxy resin. The layers are usually between 1/4 to 3/8 of an inch in thickness. It can be a little pricier than tile floors, averaging around $7-10 per square foot, but also typically lasts much longer than say, ceramic tile, if kept up well. The joints of terrazzo floors should be at three to four foot intervals in both directions and are very customizable, allowing the customer many different design options. Terrazzo floor restoration or installation can also be good for the environment. If a terrazzo floor that uses 100% recycled glass aggregate, it could have up to 75% recycled raw material by volume. What’s The Best Way to Clean Terrazzo Floors and Keep Them Well Maintained? You do want to make sure that terrazzo cleaning and terrazzo floor polishing are done right, to avoid damage. The best way to clean terrazzo floors is to first sweep up any larger debris and then wet mop the floor using a neutral cleaner to dissolve the dirt. Rinse with water to get all the dirt up. You should then buff the floors to bring back maximum shine. Professionals should definitely be involved in restoring luster or removing stains. 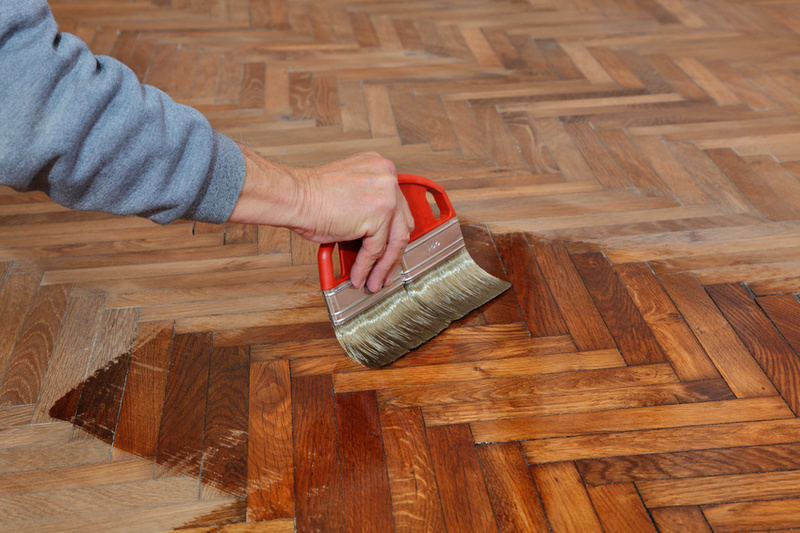 They can remove the sealer and restore shine without damaging the floors. They can also offer guidance on whether or not the floors should be replaced. What Should I Know About Tile and Terrazzo Floors? Around 90% of homeowners would rather have tile or hardwood in their kitchens. Hard surface flooring is also popular in bathrooms as well. Tile is pretty easy to manage — it can take a half hour to remove and replace a broken or otherwise damaged tile. With tile though, you have to be careful with how you manage the grout that seals the tile in place. You shouldn’t use harsh chemicals that can harm the grout. A mixture of white vinegar and water is best for general cleaning and a 100% silicone caulk can help protect grout from water damage. Topical sealants are also good for protecting grout (extra bonus for easy application) but they do need to be reapplied every one to two years. The good news for you is that tile that’s well taken care of can last for tens of years or even hundreds of years! Terrazzo floors are incredibly durable and almost impenetrable to moisture’s effects (great for bathrooms!) but the amount of production needed is higher. They do give off a look of timeless beauty and can stand hard wear and tear well. If you’re thinking of replacing some flooring in high traffic areas, consider installing tile or terrazzo flooring. Both tend to wear well, have fairly simple installation, and on the whole, be cheaper than installing hardwood floors. Tile is especially good in bathrooms and both are easy to clean and maintain.